When I close my eyes I’m slowly falling down. When the lights are gone can you hear me now? The leader of WHOwho, Jun Roh (guitar, vocals) wanted to make music that would make audiences dance. Joining forces with John Ahn (bass guitar), Jincheol Kim (drums) and session member Young Kwang Joung (synths), WHOwho rocks an energetic, danceable, and funky sound that does just that. 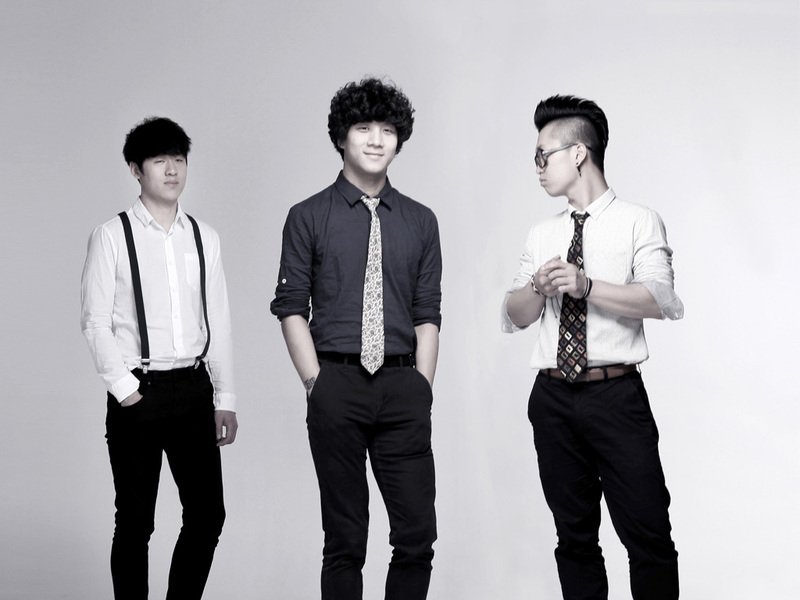 Since its formation in early 2012, WHOwho has performed concerts at numerous clubs in Hongdae – the Korean metropolis of the indie rock scene. In most cases, Jun Roh writes a rough outline for a song and then the band arranges it into a catchy track. According to them, they are influenced by various types of music. They listen to music as much as possible without regard for any particular genre. In addition, they are influenced by visual art, media art, and many other types of artistic expression that can be linked back to music. Their music has three particular characteristics. First, it can be described with the words: energetic, danceable, and funky. In other words, their music is good at making listeners move their feet. At their gigs, you can see people jump, slam-dance, and sing along. Second, most of their music is about love, a subject that resonates with audiences around the world. Third, all of their songs are written in English. This is because vocalist Jun Roh used to live in New Zealand. While there, he had a habit of singing in English. WHOwho believes that lyrics in English can be advantageous in appealing to international fans, and one of their goals as a band is to play gigs worldwide, not just in Korea. There’s a funny story behind the band’s name. When WHOwho was formed, they spent all the money they had to rent out a studio. They were so broke that they had no choice but to have cheap meals such as french fries, which is pronounced “Who-rench Who-ries” in Korean. Recalling such moments, they combined the first syllables from each word - WHOwho – for the band’s name. However, they still want listeners to discover their own meaning for the name. In May 2012, they had released their demo album, which became a hit among fans, labels, and music festival organizing companies. Soundholic, one of the largest indie labels in Korea, liked their work so much that they signed the band. Since then, WHOwho has released two EPs, and they're currently working on their first full-length album. Stay tuned for their next move!